PayPal is our preferred payment option, and even if you don't have an account you can still use this service to pay by debit/credit card. Simply place your order as normal and continue to the PayPal payment page. On this page you will see a button saying 'Click here to use as a guest'. 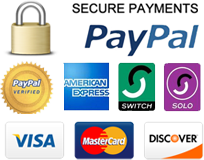 Click this to complete your payment - this will not create a PayPal account, it just uses their payment server to charge your card. 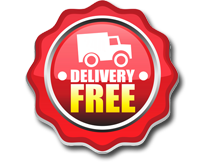 ​​​​​​​If you prefer, we are more than happy to take your order over the phone. Just call us on 01787 462281 or 07775 933930 and if there is no answer, leave us a message and we'll call you back ASAP.